To understand contrails and sort out the chemtrail issue, we must first know a few things about the aircraft responsible for them. So let’s start at the beginning. A jet aircraft is, quite simply, any aircraft powered by a jet engine (rockets and cruise missiles are also jet-propelled, but don’t really enter into the chemtrail issue). They are not the only aircraft that can form contrails, as we’ll see in the next post, but there’s no question that jets are responsible for most of the contrails seen in our skies. These early airliners were teeny-tiny compared to those we see today. The original Comet held only 36 passengers, and the first transatlantic Boeing 707 flight carried just 111 people – an astonishing number at the time. (2) The world’s first widebody (“jumbo”) jet, the Boeing 747 (introduced commercially in 1970), held the passenger capacity record for nearly 40 years, with a maximum of 452 passengers per flight on the 747-100 and 660 passengers on the 747-400 (for years, the world’s most commonly-used model). Its current incarnation can hold up to 605 passengers. 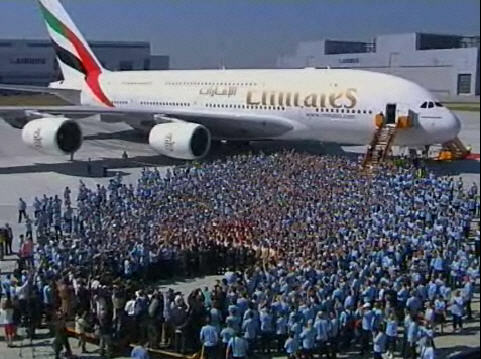 The Airbus A380 , today’s most popular jet model, now holds the passenger capacity record; it can carry up to 853 people. And these aren’t even the largest or heaviest jets in the sky! Altitude has also increased dramatically. The first Comet had a cruise altitude of 42,000 feet, while the hulking, supersonic Concorde can reach nearly 60,000 feet. 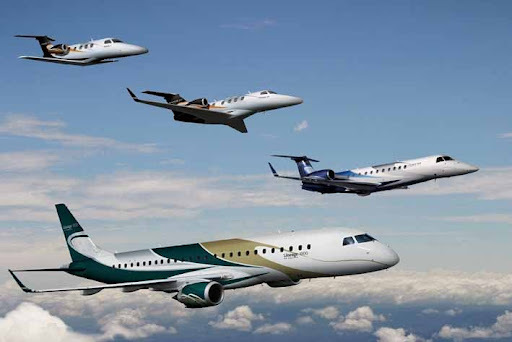 There are two main types of civilian passenger airliner: long-haul jumbo and widebody jet airliners, and short-haul passenger jet airliners. Today’s jets have two to four engines, which can be located on the wings, fixed above the stabilizers in the rear of the plane, or integrated into the tails. 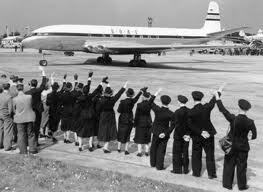 The world’s first airliner, a de Havilland Comet. An Airbus A380. Somewhat larger than the Comet. How Many Jets are in the Air? Estimates of how many aircraft are in the sky on any given day range from 13,000 to 20,000. A USAF pamphlet on contrails states there are approximately 60,000 daily flights over the U.S.
Whatever the specific number, there can be thousands of planes in U.S. airspace at one time, as shown by the animations of the NASA-developed FACET simulation software. One particularly fascinating FACET series, “A Typical Day in U.S. Airspace” is currently available on NASA’s website. It shows aircraft, depicted as tiny yellow dots, swarming U.S. airspace like ants moving over an anthill. We first see an average day of flight patterns, with yellow dots teeming along the East Coast, then an example of how flights are redirected to avoid bad weather. Finally, we are shown what air traffic looked like on 9/11: A flurry of dots swim across the screen, start to fade, then blink out entirely. During peak hours, there are roughly 5000-6000 planes flying over the U.S. In 2005, the flight-tracking website Flight Aware published “A Day in U.S. Airspace“, showing 5664 aircraft over the country at 2:00 PM (CDT). In a 1981 paper, Stanley Changnon reported the results of his studies of cloud, sunshine and temperature records for the Midwestern U.S. between 1901 and 1977. These results indicated that the greatest increases in cloud cover in that portion of the nation since 1960 occurred within the overflight zones of commercial jet traffic. Before delving into the chemtrail issue, it’s essential to have a basic understanding of how jets are constructed. As we’ll see, misidentification of planes and airplane components can lead to much confusion when it comes to contrails. In particular, observers frequently mistake the various parts of a jet wing for specialized, chemtrail-related equipment. The illustration below shows where some of the key jet components are located and what they do (from a NASA diagram). In this video, a pilot identifies the components of a jet wing. Here’s an example of how ordinary jet components can be mistaken for chemtrail equipment. The video below is said to show a chemtrail being sprayed from special nozzles beneath a jet’s wings. I asked Captain Bruce Sinclair, a pilot with 46 years of flight experience, to view this video and explain what’s going on in it. He pointed out that the “chemtrail spraying” stops at precisely the same time that the plane’s three engines stop contrailing. The “nozzles” are not nozzles at all, but the fairings around the flap actuators (the mechanisms that move the flaps). In other words, this is an ordinary jet contrail. Many photos that are thought to show jets spraying chemtrails are actually photos of highly specialized aircraft. You can see several examples of this mistaken identity at the website Contrail Science. Many chemtrail theories rely heavily on the assumption that it is simple and inexpensive to add chemicals or metal oxides to jet fuel. In fact, jet fuel production is tightly controlled because fuel is expensive and must contain as few impurities as possible. The most common commercial jet fuels are called Jet A and Jet A-1. Jet A is available only in the U.S. It has a higher freezing point than A-1, and does not have to contain an antistatic agent like A-1 does. Military jet fuel is a different story. Though it has the same basic ingredients as commercial jet fuel, it is often highly specialized for specific aircraft. Jet fuel additives are always extensively evaluated and tested, as anything added to the fuel could adversely affect engine performance and safety (metals, in particular, are something you don’t want to add to jet fuel; even trace amounts can have disastrous effects on the thermal stability of the fuel). Antioxidants to prevent gumming. These are usually based on alkylated phenols. Antistatic agents to prevent sparking. Stadis 450 is the most widely-used agent, and is speculated by some chemtrail researchers to be the source of the barium allegedly present in chemtrails (see, for instance, this video). Biocides to inhibit microbial growth in fuel systems. Fungi and bacteria can pose serious problems to planes. In 2009, Australian airline Qanta grounded all three of its Airbus A380s due to fuel tank leaks reportedly caused by fungus. Currently, only two biocides are approved for use in jet engines: Kathon FP1.5 Microbiocide and Biobor JF. Fuel system icing inhibitor agents. As jets reached higher altitudes and stayed at them for longer periods, ice in the fuel became a deadly hazard. In 1958, a B-52D crashed in South Dakota due to ice blockage in the fuel system, killing 5 of the 6 men on board. 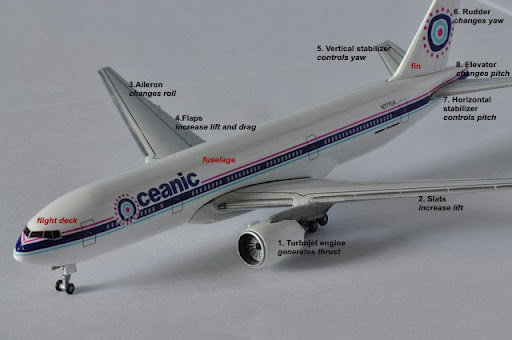 Studies indicated fuel icing was the probable cause of over 200 previous aircraft losses. (7) Beginning in the ’60s, anti-icing agents were added to military jet fuel. I find it very interesting that it took the military 20 years and over 200 crashes to figure out that fuel icing could be a problem. Metal deactivators to mitigate the effects of trace metals. The only allowable deactivator is N,N’-disalicylidene 1,2-propanediamine, and it is seldom used. Aside from the Stadis 450, which we’ll examine in another post, note that there isn’t anything on this list that would account for the metals thought to be in chemtrails (barium, aluminum, titanium, and strontium). Nor does the fuel itself contain them. But it must be noted that aviation fuel emissions do contain toxic pollutants. The combustion of jet fuel during flight causes aircraft engines to emit carbon dioxide, nitrogen oxides (in small amounts), carbon monoxide, sulfur gases, and soot. (8) Jet emissions have also been found to contain particles of zinc, beryllium, lead, vanadium, and copper. (9) Note that these are heavy metals, unlike the alleged chemtrail metals. I ask you, how is this any better than what’s supposedly being found in chemtrails? In 2007, the Discovery Channel program Best Evidence examined chemtrails. A team led by Dr. Gregory W. Davis at Kettering University’s Automotive Engine Research Laboratory tested five gallons of randomly selected jet fuel from a Flint airport, running it through a small jet turbine. They ran an array of tests on the fuel itself and the emissions, looking for aluminum (the metal most frequently mentioned in connection with chemtrails). They found none. They did find some sulfur in the emissions, though. 3. “Jet trails above fueling weather changes below, researchers say” by Ronald Kotulak. Chicago Tribune. August 8, 2002. 4. Advances in Geophysics, Volume 21. Edited by Helmut Erich Landsberg and Barry Saltzman. Academic Press, 1979. 7. “Above and Beyond: Fire and Ice” by Leonard R. Scotty. Air & Space magazine. November 2010. 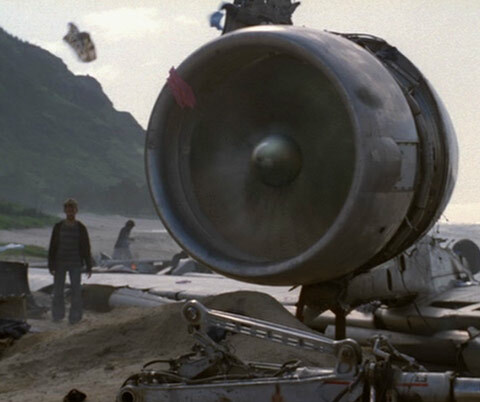 Scotty and a ground crewman were the only surviving crew members. 9. “Evaluating Particulate Emissions from Jet Engines: Analysis of Chemical and Physical Characteristics and Potential Impacts on Coastal Environments and Human Health“. Karleen A. Boyle. Transportation Research Record 1517, 1996. This entry was posted in Chemtrails, Conspiracy Theories, Controversies, Following the Chemtrails and tagged chemtrails, conspiracy theory, Following the Chemtrails, science. Bookmark the permalink. I thought the LOST visuals were a great, ironic touch! When I posted a link to this article on my Twitter I got a virtually all-day argument from a True Believer. Here are some of the things she said:"I don't waste time arguing w/those who "Choose to ignore the facts" Fact of the matter is chemtrails do exist. I live under them! ""Sharing data/info is way different then shoving your opinion down others throats, not to mention you know "not" what you speak of! ""ROTFLMBO tell the 107th and 111th congress members that. It's there damn chemtrail reports! ""This 1 is for the disinformation agents like @muertos who wants public to believe there is no such thing as chemtrails…"Then she started posting Bob Marley videos about peace and love.You gotta love these nutters. Endless entertainment!Thanks so much for the articles, I look forward to the rest of the series! I'm guessing the Congress reference is about the Space Preservation Act, and if so it's pretty outdated. Chemtrails were only mentioned in the original 2001 bill. I quickly scanned your source lists and didn't see this fabulous webiste (sorry if I overlooked it): http://contrailscience.com/It's got some great basic and not-so-basic information about contrails and other cloud formations. And the comments sections are a source of endless nut-related entertainment. Just as an FYI, I realize it’s nearly impossible to maintain valid links, but the 2nd video in this article is no longer available. It regarded Captain Bruce Sinclair’s comments per a popular chemtrail video. I couldn’t find a replacement.